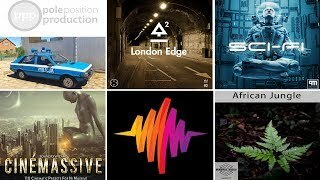 Scott Gershin gives his thoughts on sound for VR, Arjen Van Der Schoot talks about Audio Ease’s new convolution reverb, Paul Weir discusses procedural audio for No Man’s Sky, and Mix Magazine holds a Sound Effects panel at their Sound for Film Conference. Also, Phillip Palmer talks about editing dialogue for Glee and Better Call Saul, and Kyle Johnson and Mike Shapiro discuss new developments with the PS4 and iPhone as well as mixing for mobile with the M-Ref. In this dual-interview episode of ‘Tonebenders’, Timothy Muirhead interviews Technicolor’s Scott Gershin who has worked on films by Guillermo Del Toro, Quentin Tarantino, Sam Mendes and J.J. Abrahms, as well as games like The Last of Us, Gears of War, Fable, and Doom. Always at the forefront of new technology, Scott talks about how he will be speaking about 3D Sound for VR at the upcoming GameSoundCon in Los Angeles. In the second half, Tim talks to Arjen Van Der Schoot of Audio Ease about their new ‘Indoor’ convolution reverb which features flexible, realistic room reflections. Sure saves the hassle of traveling with a starter pistol! 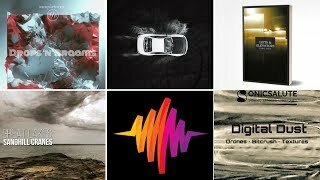 This episode of the ‘Soundworks Collection’ podcast features Mix Magazine’s 2015 Sound for Film Conference, which focuses on the theme of “The Art of Sound Design: Music, Dialog and Effects in an Immersive World.” Moderator David Bondelevitch interviews Mandell Winter, Scott M. Gershin, Gregory Hedgepath, Richard King and Will Files about how they got into sound, and how they communicate with directors who don’t understand our “black magic”. They also discuss how they use pitch in sound effects to complement and stand out from the film’s score, and what they believe immersive audio means in terms of Art and practicality in today’s world. Once again, Larry Benjamin has a delightful conversation with one of his colleagues at Smart Post Sound. During this Smartcast, he talks to Phillip Palmer, Production Sound Mixer of some of the finest series on television such as Better Call Saul, Glee, American Horror Story and Jericho, as well as Angels & Demons and J.J. Abrahm’s Star Trek. They talk about making a sonic character out of Michael McKean’s “space blanket” in Better Call Saul as well as how a background in sound has taught Phil to always have multiple backup plans. They also talk about the process of transitioning from storylines to performances in the tight schedule for Glee and how to prepare to work in the 80-grit, unpredictable New Mexican outdoors. In this episode of ‘The Sound Architect UK’, Alyx Jones speaks with game audio veteran and audio director for No Man’s Sky, Paul Weir. He talks about the process of creating a procedural soundtrack by reconstructing 65daysofstatic’s album and why music synthesis would not have fit the game. He also talks about producing the randomly-generated creatures’ voices with ten emotional states, head/body ratios and random parameters to allow for an immense number of calls. However, when it comes to his favorite kinds of sounds, he likes to keep it simple with his digital recorder. 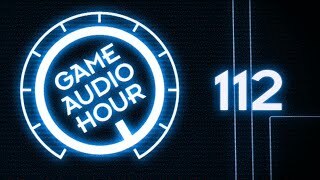 This week on ‘Game Audio Hour’, Kyle Johnson and Mike Shapiro discuss the topics that delight and frustrate us in game audio. 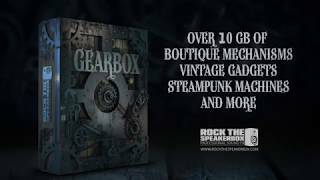 They start by announcing the winner of Izotope’s VocalSynth giveaway and talk about their M-Ref reference speakers and mixing for mobile. They also discuss the new iPhone’s stereo speakers and the infamous removal of the headphone jack, as well as their audio dev wish lists for the PS4 Slim and Neo. And since it wouldn’t be an audio podcast without DAWs coming up, they mention their favorite features in DAWs (and what is still missing) and the importance of tweakability and visual user interfaces. Perhaps by the Game Audio Hour BBQ on 25 September, we’ll see if Kyle changes his mind when he gives Reaper another chance!